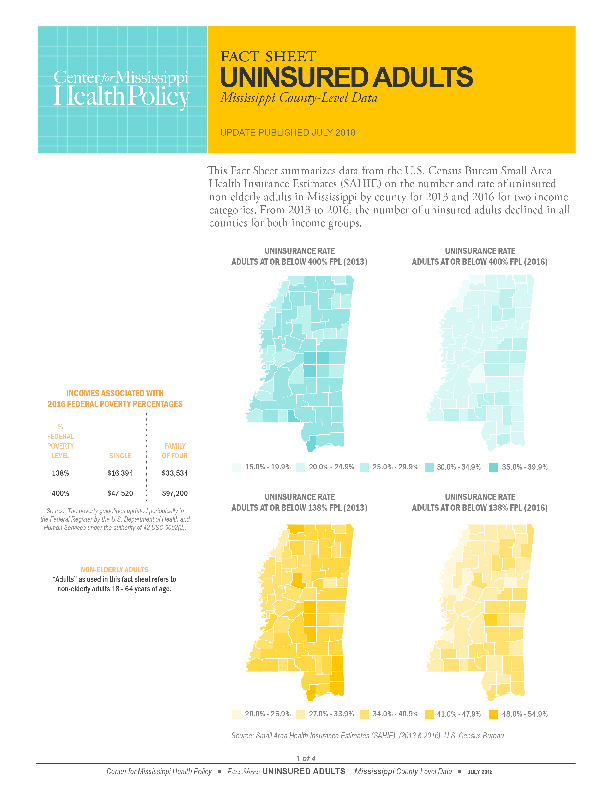 The Center for Mississippi Health Policy monitors trends in health insurance coverage in Mississippi, analyzing Census data separately for children and non-elderly adults. The data are presented in chartbooks that examine detailed demographic characteristics such as income, age, education, and work status for the various types of coverage and provide a profile of the uninsured. In addition, a separate fact sheet presents county-level data on uninsured adults. This Fact Sheet shows the number and rate of uninsured non-elderly adults in each Mississippi county in 2016 for two income categories: those at or below 138% of the Federal Poverty Level (FPL) and those at or below 400% of the FPL. The Fact Sheet also notes for each county the change in the uninsurance rate for these groups from 2012 – 2016. Every county in Mississippi experienced a drop in the number of uninsured non-elderly adults during this period for both income categories. There were significant changes in all health insurance coverage categories from 2012 to 2016. Private and public coverage rates rose while uninsurance rates dropped over the period. Compared to the nation, however, Mississippians are significantly more likely to be uninsured, have higher rates of public coverage, and lower rates of private coverage. 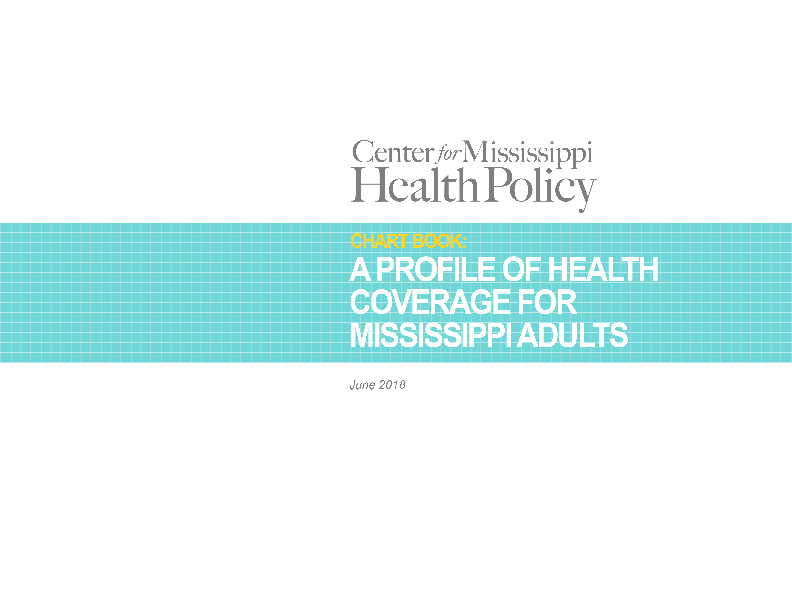 Notably, young adults in Mississippi exhibited the sharpest gains in private coverage rates over the time frame examined. 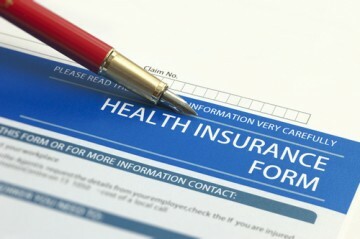 Beginning in 2011, federal law required insurance companies to allow persons to remain covered as a dependent on their parent’s health insurance plan through age 25, if the plan offered dependent coverage. Private coverage rates are higher for adults with higher incomes and education levels and in older age groups. Most adults acquire health insurance coverage through an employer plan, but coverage is primarily available from larger employers and for full-time workers. While more than four out of five employees in Mississippi work for firms that offer health insurance, only two-thirds of these employees are eligible for health insurance coverage, and approximately half are actually enrolled in employer-sponsored coverage. This trend has remained steady over time. Average annual health insurance premiums for private sector employees and employee contributions for single and family coverage rose steadily from 2006-2016. Most uninsured, non-elderly adults in Mississippi are working and are primarily employed in low wage jobs in the retail, manufacturing, and service sectors. 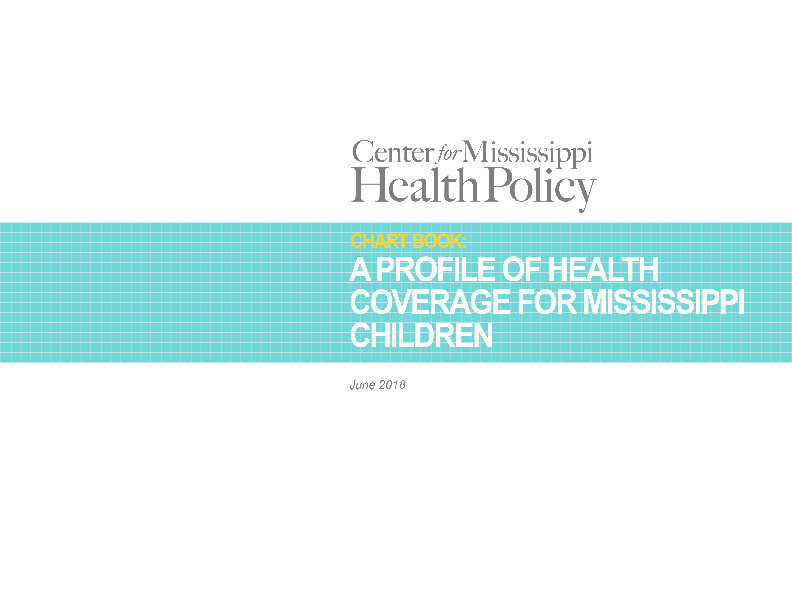 Compared to the nation, Mississippi children are significantly more likely to have higher rates of public coverage, primarily Medicaid or the Children’s Health Insurance Program (CHIP), and lower rates of private health insurance coverage. A child’s eligibility for private health insurance coverage can be dependent on a family member’s health coverage status, such as whether it is offered through an employer-sponsored plan. Eligibility for public coverage is income-based; children must reside in households with incomes at or below 214% of the federal poverty level. The uninsured rate for children in Mississippi is equal to the national rate at five percent. Most uninsured children live in families with a working adult. Nearly three-quarters of uninsured children in Mississippi are income-eligible for public coverage through Medicaid or CHIP but not enrolled. About one out of five uninsured children lives in a household with an annual income that would qualify for subsidies to assist with premium costs if coverage were purchased through the Marketplace.